Due to popular demand, we have extended the availability of the gifting feature in the Store through the end of Snowdown Showdown on January 6. 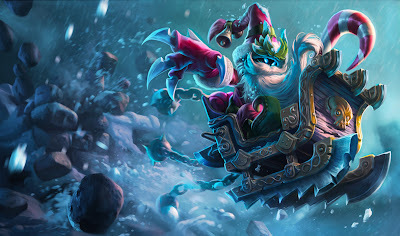 Only summoners that were on your Friend list at the start of the Snowdown event can be gifted. Snowdown summoner icons will continue to be rewarded for your first gift of RP, a champion, or a skin. HO HO HO I should just do this all year round for the kicks.